Along with tithing through the envelope system, St. Matthews has options available for reccuring offerings or a one-time donation. 1. Simply Giving: Offers the option of automatic withdrawal from your checking or savings account. The application is completed with the hard copy form available via the link Simply Giving Information and the completed application is turned in to the Office. 2. On-line: Identical to Simply Giving with the exception of not having to provide a blank check to complete the process if checking withdrawal desired and the application is completed electronically (click link below). 3. 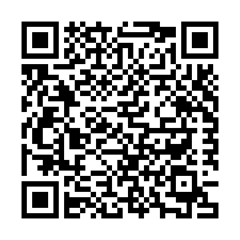 QR code: Scan the QR code to the right with your phone.